Wifi is an energy field that is transmitted as waves. The waves have a certain distance between them and travel at a certain speed. The distance between wifi waves is shorter than that of radio waves and longer than that of microwaves, giving wifi a unique transmission band that can’t be interrupted by other signals. This image shows an idealized wifi data transmitted over a band that is divided into different sub-channels, which are shown in red, yellow, green and other colors. 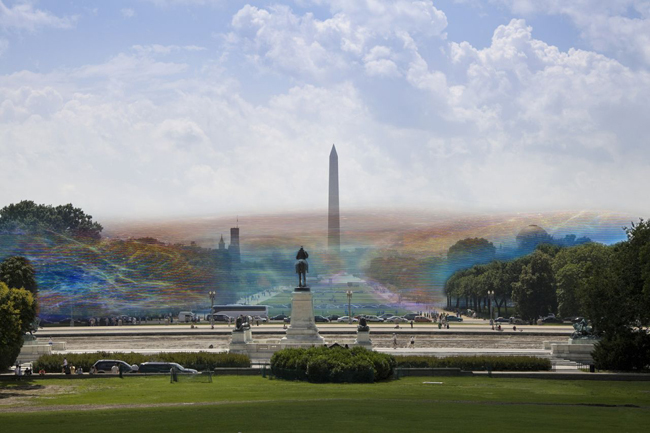 The wifi pulses are shown here as multicolored spheres radiating out from the source. Wifi fields are usually spherical or ellipsoidal and extend up to 50 meters, assuming a typical off the shelf wifi acces point, and depending on the transmit power set. 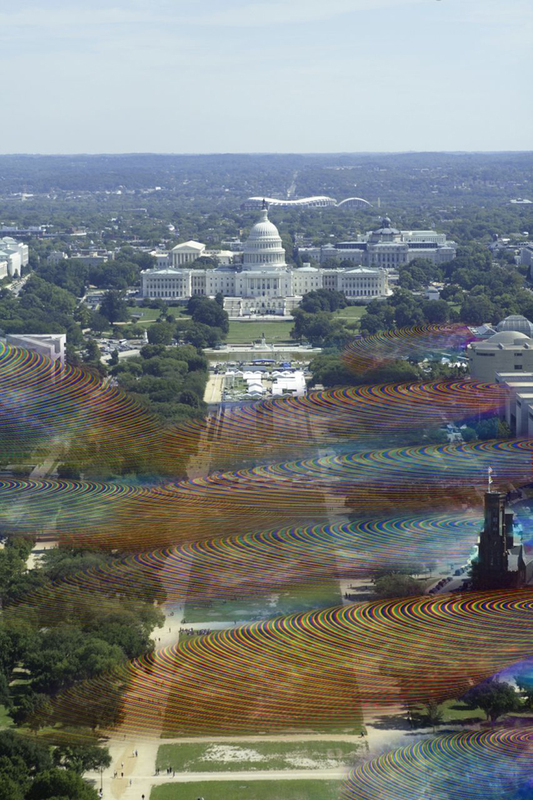 Wifi waves travel through space as rapid, data encoded pulses or waves. Wifi routers or antennas can be attached to trees, buildings, lamp posts and other structures. A typical outdoor router can project its signal 100 meters (300 feet) or more from its location. Objects such as trees can obstruct the signal, because they contain water, such that it has to be augmented by multiple wifi routers placed in different positions. 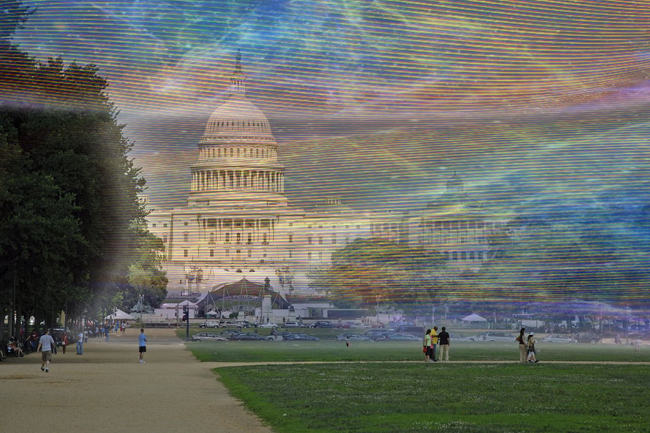 Multiple routers can create a field that extends all the way across Washington DC’s National Mall as shown here. Wifi routers affixed to buildings, lamp posts and other object create a circular electromagnetic field around them. These antennas give an omnidirectional signal that extends equally in all directions, shown as the circular bands. The illustrations were produced with the help of M. Browning Vogel. She has a Ph.D. in Astrobiology, worked at NASA Ames for five years, and now teaches science at the University level.